Need a fun gift idea? I've got one for you! How about a Basket Of Sunshine? It's super easy and and turns out really cute--so cheerful and happy. All you do is get a basket and fill it up with items that are YELLOW! The possibilities are endless. I got the idea from my friend, Heather, and I'm pretty sure she found it on Pinterest! She and I and another neighbor made one a few months back for a friend whose dad had recently been diagnosed with cancer and needed a little bit of "sunshine" during a hard time. You can't even see all the good stuff in there because we packed it full..but her family loved it. I loved the idea so much that a friend and I made one for another friend's birthday! Hint: Easter is a GREAT time to find lots of yellow stuff--yellow paper grass, Peeps, candy, etc. And because I like to get as much mileage as I can from a great idea, I made one for Abbey's teacher for an end-of-the-year gift. Target's dollar spot is a great place to find items--I found a lot for this basket and some items were even marked down from $1--score! Initially I thought finding yellow things would be challenging but you would be surprised how much you can find if you're really looking. The possibilites are limitless and this is an easy idea that packs a big, BRIGHT punch! Enjoy! It's officially summer at my house. My kiddos finished up last Thursday and we've enjoyed a nice long string of unstructured days. I adore summer and it's unhurried pace. It is without a doubt my favorite season of the year. 1. My big huge work fundraiser (golf tournament) is behind me and was a big success and I'm starting to feel sane again. 2. I have one more coming up this week but my part in this one is (thankfully) much less hands-on. 4. Another school year is in the books. HOORAY! Here are two pics I snapped on the last day. These two finished their finals around lunchtime so I took them out to eat. They were both in a terrific mood. There's something about the last day of school that just makes everyone HAPPY! I sent Abbey to school in shorts on the last day of school and the actual high temperature didn't climb out of the 40s that day. It was c-c-cold! I came home from running errands and traded my flip flops for boots and took Abbey some long pants to wear for recess but got there too late and discovered that she'd made it just fine in her shorts. She reminded me later that she's tough. And she's right. She IS! Here are some other pics I found on my phone. Just be glad I spared you all the "selfies" that my kids take of themselves. This just makes my heart smile. Please ignore the yard work that hasn't yet happened in our yard. Things are just now greening up in our part of Colorado. John and I took our houseguest, Flat Stanley, up the Incline with us a couple of weeks ago. He loved it. Really. I have some links to share too...mainly just random stuff...which seems to fit in with the theme of this post, huh? I'm married to a writer who makes things sound so much better when HE writes about the same thing. My sweet and talented friend, Allison, wrote a book that was published this spring. It is a children's book--In the Hall of the Mountain King--based on a Henrik Ibsen play and set to a piece of classical music. It's beautiful and interactive book and would make a perfect gift for children and/or music lovers in your life! I am so happy for and so proud of my friend. Have any of you ever used Annie Sloan Chalk Paint? I have a project I want to tackle soon and am curious about this paint. Pinterest and Google make it sound awesome, but I'd love to hear from someone with personal experience. John is reading this book right now and I'm DYING for him to finish (and for my work stuff to wrap up) so I can read it too. It's been on my list since my friend, April, mentioned it to me earlier this spring but John keeps sharing bits and pieces and I am even more curious to give it a go. Last night John and I went to see Mud. LOVED it. I'd been hearing a lot of buzz from my Arkansas friends because it was filmed there, but it wasn't showing here until recently. It was really, really good (says the girl who likes indie films). So much of what's out there these days is unoriginal but this story was definitely unique and I woke up thinking about it this morning which says a lot. Plus, Matthew McConaughey + Reese Witherspoon? Never a bad combo. Happy Tuesday, friends. Hope you all have a fantastic day! 1. It's amazing how much better nine hours of (glorious) sleep can make a person feel! I've been in overdrive this week getting ready for a big fundraiser on Monday and it all finally caught up with me last night. I took two Tylenol PM and went to bed at 8:30pm and for the first time in ages I slept until my alarm woke me up. Never underestimate the power of sleep! I'm refreshed and ready for another full day. 2. Last night John and I got to meet an author that we both admire. Kent Haruf is a Colorado native and his books Plainsong and Eventide are two of my very favorites. Our local bookstore hosted him for an author reading and book signing event and it was wonderful. It was a very smallish and quaint affair and Mr. Haruf was charming as he spoke to an audience of about thirty-five folks about characters in the fictional town of Holt, Colorado. His newest book, Benediction, is the one he read from last night. John devoured it and our newly autographed copy is the first on my list for summer reading. 3. After the book signing, John and I walked down the street to our local mexican place and caught up with each other over dinner. I haven't been the easiest person to live with lately because I've been busy and distracted (and you could also insert crabby, impatient, short-tempered) so I was desperate for us to spend some time alone together. There's just something about sitting on a restaurant patio with a basket of chips and salsa between you on a perfect evening in May that makes all things right again. 4. This time next week it will be SUMMER VACATION! School gets out next Thursday and I am so so so so so so so so so happy. Excited for a much slower pace and MUCH less time spent in the car shuttling kids everywhere!!!! 5. Happy Friday!!! I am hoping for a low-key weekend with a few naps and some fun and some time outdoors mixed in. What are YOU looking forward to? that's all for now folks...the to-do list is mocking me...even at 5:48AM. sigh. So, I know you like to make lists so I decided to make a list of things I love about you. 1. You ALWAYS drive/pick me up from school. 3. You take care of yourself and your body. 4. You have the peppiest attitude EVERY DAY. 5. You make DELICIOUS food for dinner. 6. You take us to the POOL which is the best. 7. You have a GREAT relationship with Daddy. 8. You are SUPER creative. 9. You have a sense of style and don't wear mom jeans. 10. You are SMART. You can't do my math but you know how to find typos and you have good common sense. Anyway, yesterday was a great day. In fact, the whole weekend was great. They took me out to dinner, did my grocery shopping, cleaned my filthy van, and let me rest!!! Oh, and they took me to buy some shoes. I picked these--and love them! But I love my peeps MORE! So thankful for a wonderful weekend with them. 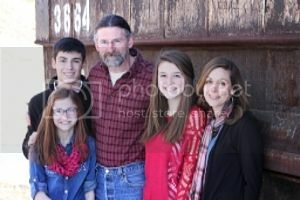 It is such a privilege to be Will, Sarah, and Abbey's mom and to parent them together with John. I am truly blessed. Current Read: More or Less. This book is very much along the lines of 7 but I think I like it better. I'm reading it slowly, not by choice but because I've got a lot on my plate right now and most of my reading time is short snatches in the carpool line but this book draws me in and I'm sad when I have to close the cover! Current Playlist: I downloaded this song after we sang it in church on Sunday and it's getting a lot of playtime. So is this. I made a new worship playlist last week and it's been my go-to playlist of late. Current Drink: Lots of coffee and lots of water, though I have been experimenting a bit with some almond milk smoothies. I usually use yogurt as a base for my smoothies, but my dairy issues have forced me to find an alternative and almond milk seems to be perfect for me. Current Food: I've been craving strawberries--and the ones I've bought lately have been SO good. I'm also craving mexican food. Current Favorite Favorite: Google Drive for document sharing/editing. I LOVE Google Drive! Current Wish List: A nap! A maid! More hours in my day! Current Need: Well, this sounds so shallow but I need to buy some cute closed toe shoes to wear to a golf tournament this month. Flip flops/sandals aren't allowed on the golf course and all my other shoes are clunky clogs that don't really go with capris. The author of the book I mentioned above would call this a "Rich Person Problem" and I agree. Current Triumph: I slept until 5:20 this morning. Considering I've been waking up when the hour hand is on the 4, that's a triumph! I still woke up before my alarm went off so there's room for even greater triumph. Smile. Current Annoyance: People who are never wrong. Current Indulgence: 20 minutes a day of complete silence. My brain and body need this and I've been trying to incorporate it into my afternoon. No iPhone, no music, no books, no computer, NO stimulation of any sort. Just me, myself, and I sitting still and quiet for twenty minutes. It's wonderful. And restorative. And I'm finding it to be a crucial part of my day. Current Mood: Happy and ready to start this day! Current Blessing: I've had some big decisions to make lately and seeing God's hand in each of those decisions--during the entire process--has been a huge blessing. I feel such peace! Hope to share more soon. Current Outfit: Jeans, t-shirt, cardigan. Trying to decide between flip flops or clogs. Hmmmmm. Maybe boots! Current Excitement: The weekend is getting closer! I have some fun plans and am also hoping to get caught up on some much-needed rest. Current Project: Our Young Life area has two HUGE fundraisers in May that are pretty consuming as far as work and projects go. I am so looking forward to June and some down time! Current plans for the day: Work. Make dinner (roasted chicken, roasted potatoes, sauteed squash--YUM!). Laundry. Carpool. Lather, rinse, repeat. Hooray for hump day! I'm in a really unhealthy pattern right now of staying up late and waking up crazy-early because of some big stuff on my plate. Coffee and Emergen-C are my beverages of choice these days. I have a couple of deadlines today that should bring an end to this particular pattern...at least temporarily. It will be nice to fall asleep without corporate logos and spreadsheets swirling through my brain! It is drizzly and dreary here this morning and if those deadlines weren't hanging over my head, you wouldn't have to twist my arm to get back in bed and sleep the morning away. Will and I just took a second and counted the remaining days of school. My high schoolers have TWELVE more days and my elementary kiddo has TEN. The older two are not happy about those two extra days they have to go. I'm just ready for them all to be finished. I am so over homework and projects and driving to three different schools. I don't think I've mentioned it on the blog, but Will is going to serve on work crew at a Young Life camp this summer for almost a MONTH! He leaves at the end of May and will be gone until almost the end of June. This hasn't fully sunk in for me and I truly don't even like to think about it. I'm super proud of him though and know that it will be a wonderful experience for him. Sarah is going to Puerto Rico on a mission trip with our church youth group while he's gone so that means that Abbey gets to be an only child for about a week. Can't EVEN express how much that girl is looking forward to that. My seven minutes are up (more like nine, oops) and my pancakes are ready so I must go! Happy hump day, people! 1. I'm giving myself the gift of sanity and getting away to hike with a friend this morning even though I have a huge amount of work/home stuff that needed to get done yesterday. This crazy push to the end of May is making it harder and harder to fit hiking in but I'm determined because, like I said, it's necessary for my sanity. 2. Speaking of sanity, when my life is crazy-busy (and even when it's not) the TWO domestic duties that keep my home functioning smoothly are meals and laundry. If I can stay on top of those two things on a daily basis then I feel like I can keep some semblance of order and around here. I'm on my dinner game these days, but laundry? Oy! All I can say is that my husband is awesome! He's the best washer/drier/folder/putter-awayer there is! And no, he's not for hire. 3. I am crazy about the man I am married to. Seriously. I love him so much. I don't know the secret to a happy marriage but I'm thankful beyond belief that our relationship is what it is. It hasn't been without bumps and bruises along the way but we seem to be in a pretty sweet spot right now and we both thank God for that...often. 4. A friend offered me some of these nuts while at her house last week and I've been craving them ever since. I finally remembered to buy fresh rosemary and I made them yesterday. They are TASTY! I totally swiped her photo off of Facebook but trust me...you NEED to make these. Instructions: Warm cashews in 350 degree oven until just beginning to brown. Mix all other ingredients and toss with warm nuts. **I only had 1/2 lb of cashews so I just halved this. Don't use dried rosemary--go for the fresh stuff...so delicious and your house will smell great while you're chopping it. I seriously can't quit eating these. 5. 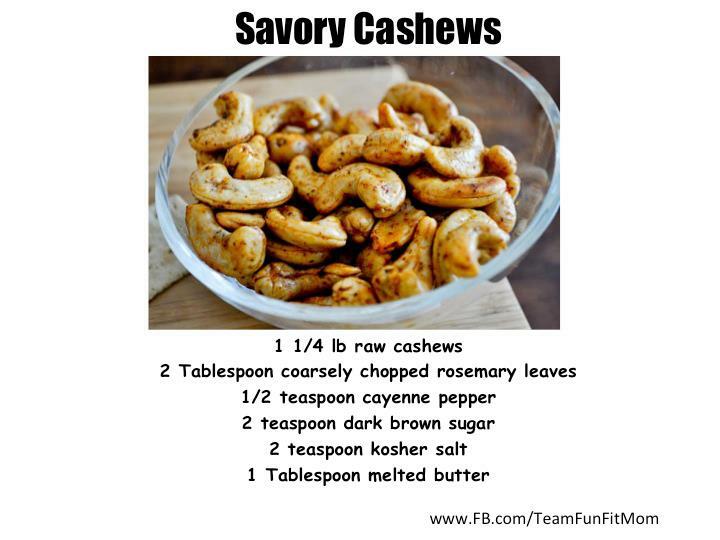 I can't think of anything else now that I have cashews on my mind! Happy Friday, y'all. Enjoy your weekend. I really and truly wanted to cry when I flipped my calendar over to May yesterday. Well, actually, I flipped my wall calendar to May on Monday and as for my planner (aka my sanity keeper) I've been flipping to May for months now to add stuff...and that's why I wanted to cry. It is going to be a wild ride here for a few weeks. I'm definitely counting down to the end of school and SUMMER! And it won't be long! By the way...this countdown app is quite fun! And free! Did I mention it snowed yesterday? Yep. May-the-first and flakes flew all day long. It was awesome. Or not. But sunny again today and tomorrow...and hopefully all melted very soon! I'm about to start my second cup of coffee. I've been waking up at 4:30AM these days with crazy to-do lists running through my head...NOT cool. Coffee and I are tight these days. I've been using almond milk in my coffee instead of half and half for about a week now and guess what? My stomach/intestinal issues have completely disappeared. Interesting, eh? Could this post be any more boring? Oh my gosh.